We have a collection of Club Penguin Island graphics, penguins, emojis, backgrounds etc. that you can use on your Blog, on social media or wherever you choose*! 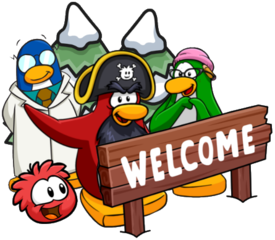 Since 2013, this site has provided free graphics to all who ask for it but unfortunately with the discontinuation of Club Penguin, we can’t do that anymore. However, we’ve got something new! 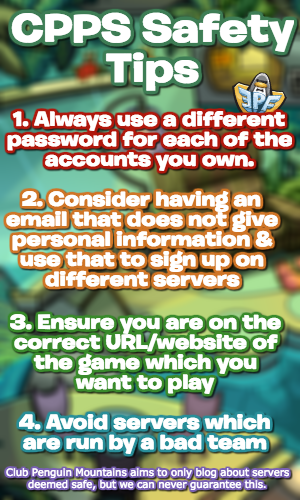 A page to help content-creators and graphics designers with Club Penguin Island stuff! Please click on an image to make it larger. Enjoy and waddle on! These patterns, kindly gifted to me by MikeyMichael, serve as epic backgrounds which you can use! Please click/tap the image you like to get the full, uncropped size. These emojis were found almost entirely on the CPI Wiki, but here’s a grid of them in case you are looking for one. You can use this transparent image over your images. It looks pretty cool and took a bit to put together but I hope you like it! Here’s some incredible artwork shared by the Club Penguin Island team. We’ll be adding to this section often! We’re working on this page majorly. Sorry, I only know how to make the basic version! I’m trying to use the font but it seems to be expired anyway I can get a hold of it a different way? Hey, please could you clarify what you mean? @ffdfdsfdsf The sources are listed on the post. PLEASE NOTE: This page is no longer maintained and has been retired, and although a link to Loyola was previously given, this is no longer the case. Due to this page being retired completely and only remaining online to serve as an archive, comments have been closed.